This is so exciting! 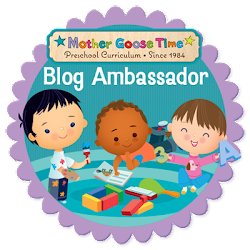 Some of the blog ambassadors for Mother Goose Time and I are doing a Giveaway Hop. We are each reviewing a few books and then giving them away! We are doing all of this to celebrate the addition of these amazing books to Amazon. Previously these books were only available in Mother Goose Time curriculum kits. At the end of this post I will link up to the other blogs so you can hop on over and enter all the giveaways. That should better your odds of a win. Yay! 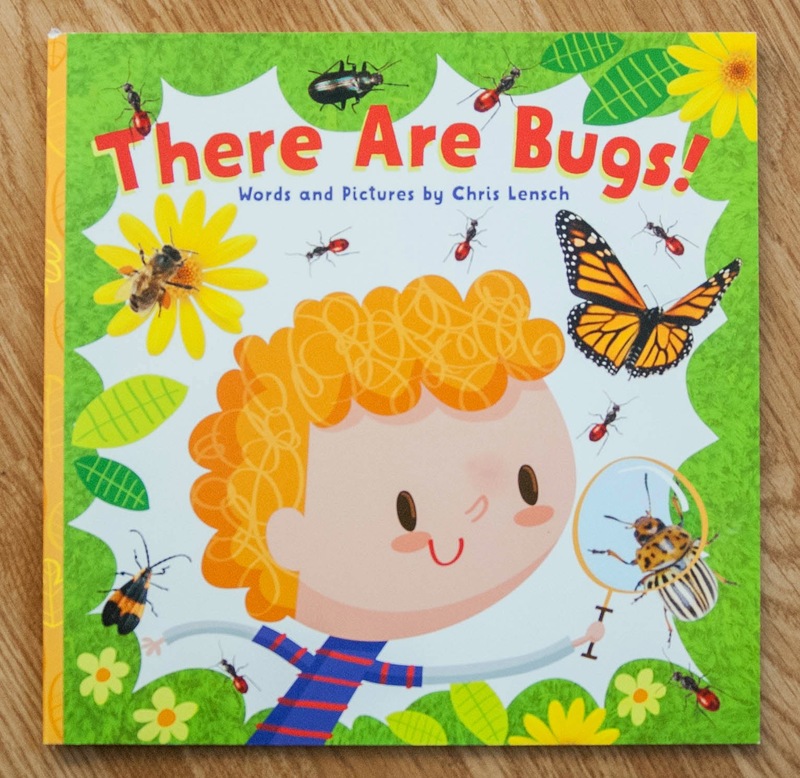 The first book I am giving away is called There Are Bugs by Chris Lensch. 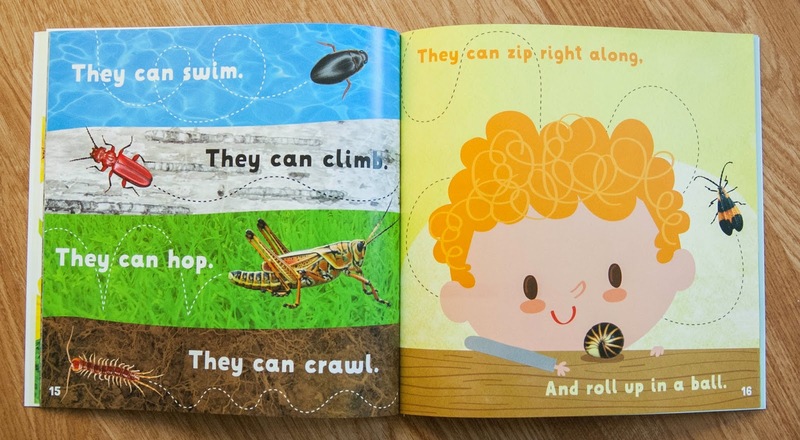 This book came along with our Bugs and Crawly Things curriculum set. It's perfect for any one studying bugs or just going through a bug faze! 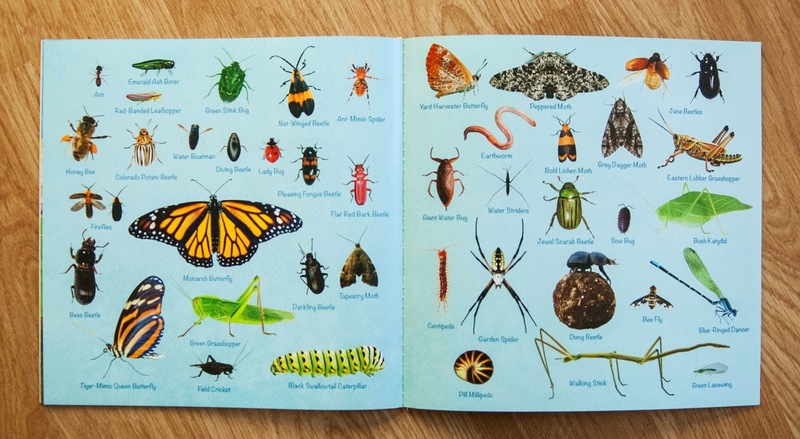 This book not only has great illustrations by Chris Lensch but the part I love the most is that the bugs in the book are actual photos of the real thing. The mix of the two come together beautifully. At the very end there is a glossary of bugs and crawly things. If you are squeamish you might want to skip this page. But if your home is anything like mine, full of boys who like bugs, this will be the most visited page of the book. To see how we used this book to learn more about Bugs and Crawly things with Mother Goose Time click here. Next is Waiter! Waiter! 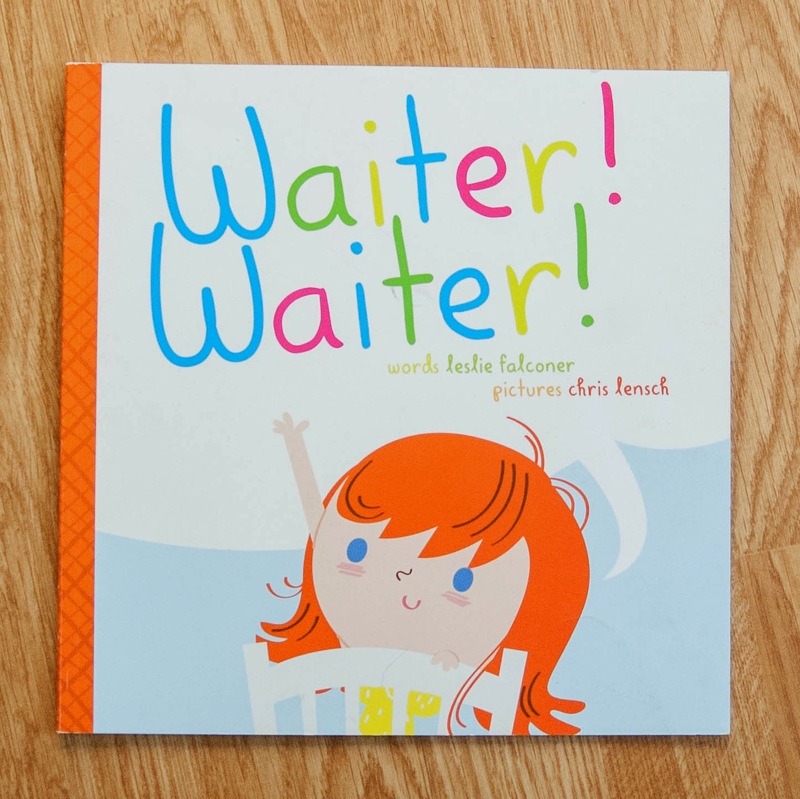 written by Leslie Falconer and illustrated by Chris Lensch. This book is not just a book but a song and it's a catchy song at that. Honestly, I wasn't sure how much my boys were getting out of reading this book. But soon after reading it we were out to eat and they asked what the guy was called that was taking our order. I said "waiter" and they started in on the Waiter, Waiter song. One of the reoccurring lines in the song is "waiter, waiter, I'd like some food, so I'll try to not be rude." As the song/book continues it talks about different ways to not be rude - to be polite. 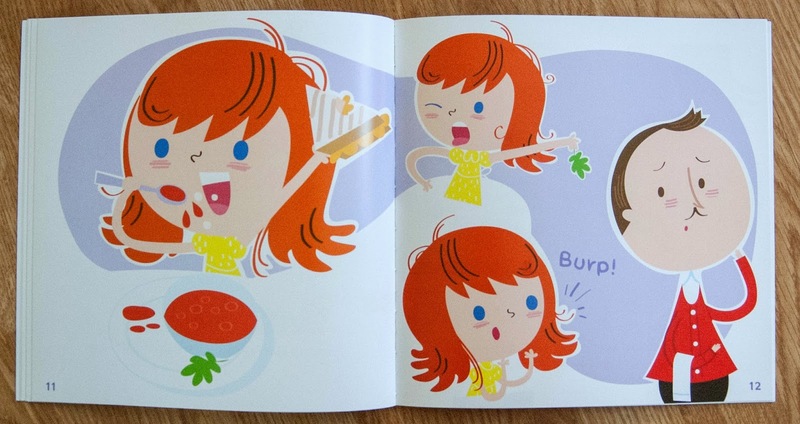 The page above illustrates how not to eat and makes everyone chuckle. The page that comes next explains that we should chew with our mouths closed. When we were at the restaurant and got to the line about not being rude, both my boys asked what that meant and it lead to a really great conversation about manners when out to eat or at home for that matter! The last page of this book includes the music and the words to this song, so you can hum along too. 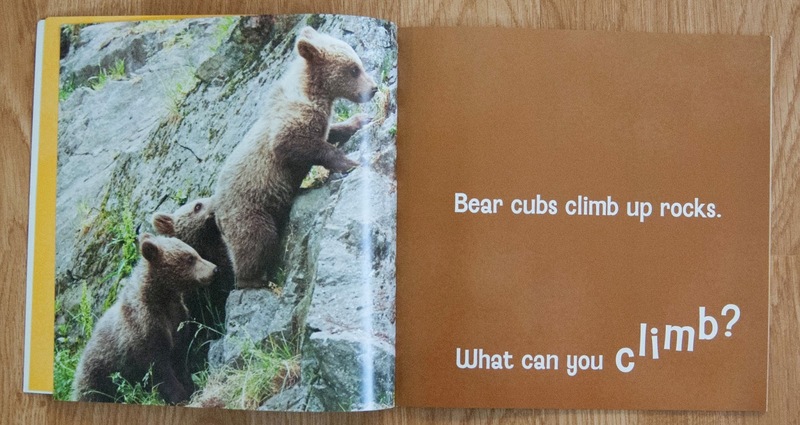 The last book you may win, is Baby Animals Learn And Play . Who doesn't love baby animals? 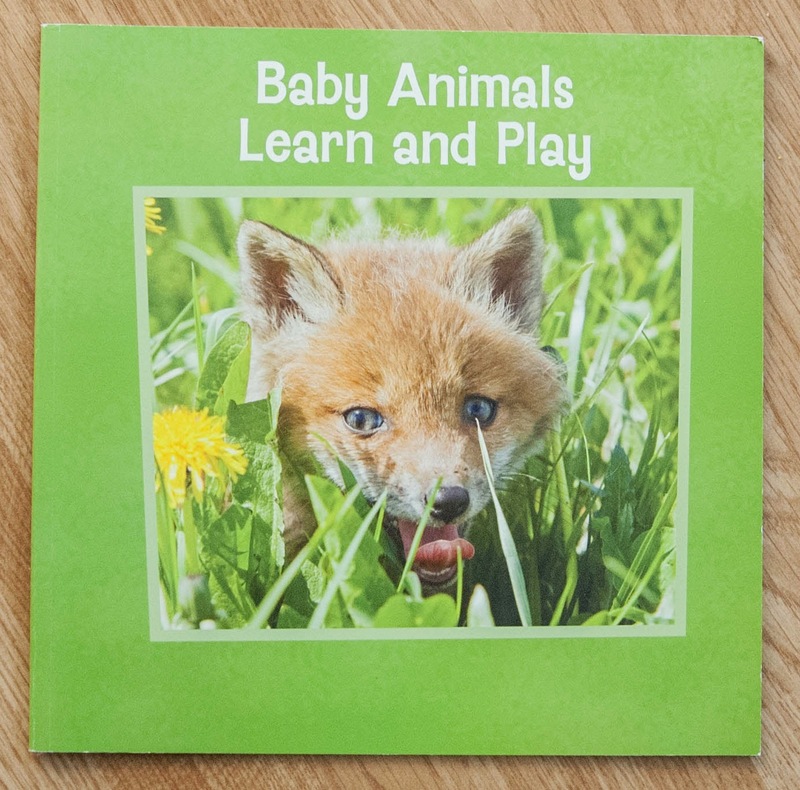 This book is a fairly simple book with excellent photos of baby animals and how they play to learn. But they have added a creative element I and my children found to be quite fun. They have the words themselves move the same way the baby animal is moving. 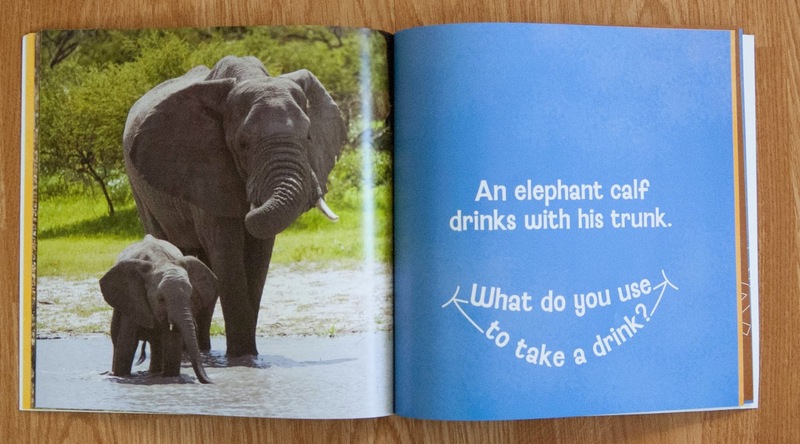 They also end each page with a question that gets the kids you are sharing this book with actively participating. Sorry about all the pictures, but you really have to see it to fully understand how great this little book is. 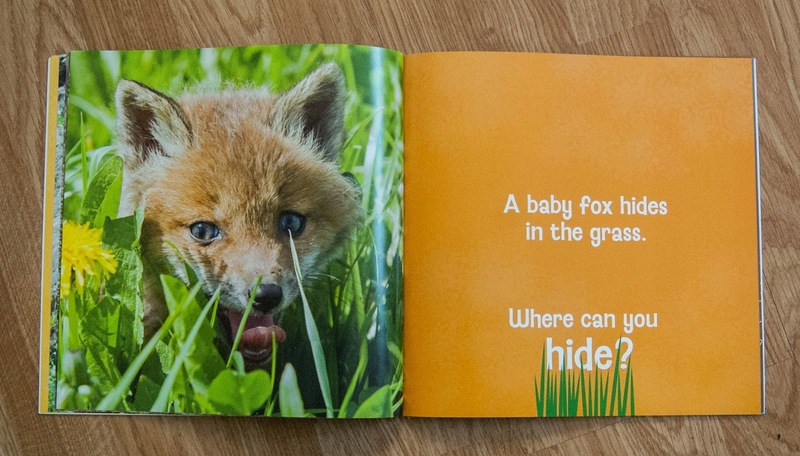 To see how we used this book to explore the topic of Baby Animals with Mother Goose Time click here. Now it's time for the raffle! Thank you for reading and thank you for entering to win. I hope it's you! 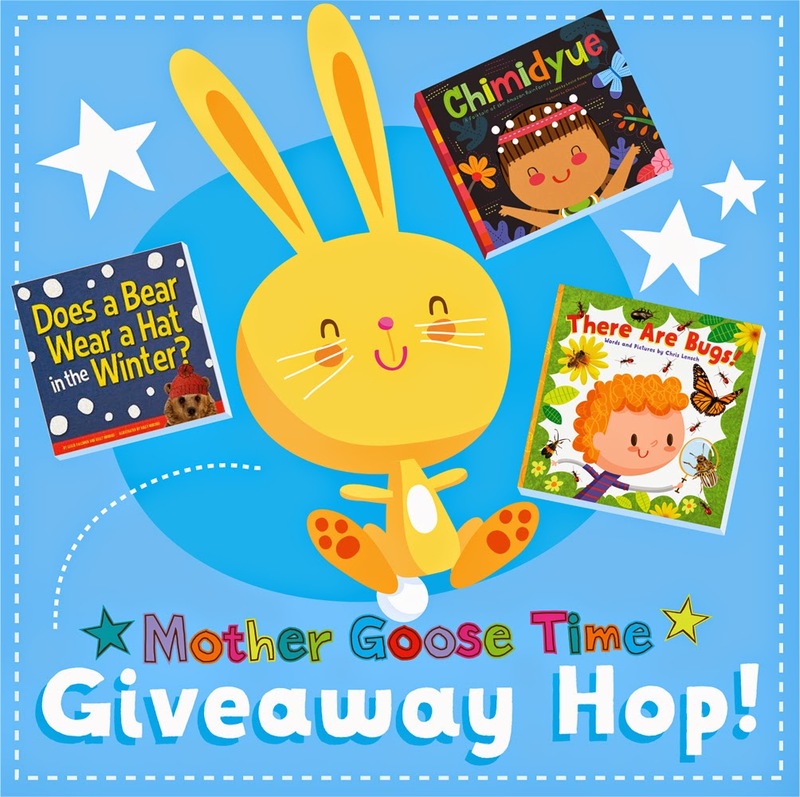 Here is the list of the other Mother Goose Time book giveaways this week. Hop on over, and enter to win at all of the blogs to increase your chances! This giveaway will be open from 1/26/2015- 2/2/2015. Prizes will be fulfilled by Mother Goose Time. Must be 18 years or older to enter to win, and a resident of the USA or Canada. Void where prohibited by law. If you just can't wait to see if you win, you can purchase these MGT books and more at Amazon (affiliate links). Oh my goodness I'm crossing my fingers and toes I win! These books are the cutest! My girls would love all of these books. They look great. These books look really cute. I love the illustrations. Awesome giveaway! I would love to win this for my son! My nephews mean the world to me and I would love to give them these books. All these books look so much fun! I especially love There Are Bugs! Thanks for a give away. The bug book looks great. Im still learning how incorporate our MGT books effectively into our days but these would make great additions to our library.